A bright colored wedding is always in fashion! With summer fast approaching us here at the Canoe Club Ballroom, we are looking forward to all the fabulous colors that will adore our ballroom and courtyard area!! Pulling inspiration from nature, the color options are truly endless when decorating at our venue!! With lush green grounds and a neutral color palette you can add pops of color throughout!! We have gathered some awesome ways to add pops of color to your special day!! 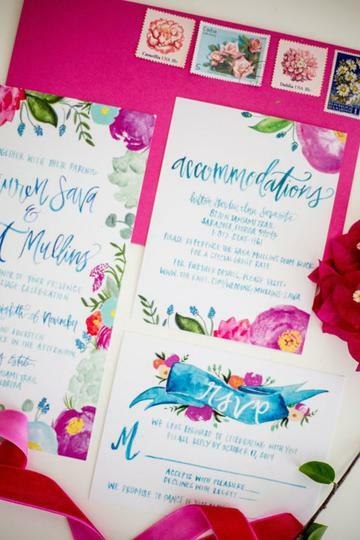 Start things off with a bright watercolor invite. A pop of color to go along with your beautiful bridal gown. 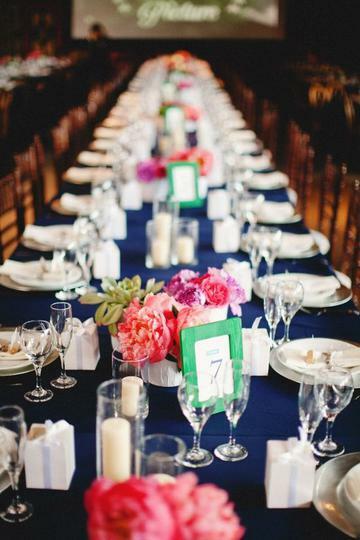 For a whimsical touch, add bright colored linens. A bright lip is a simple, yet powerful way to add color to your look. 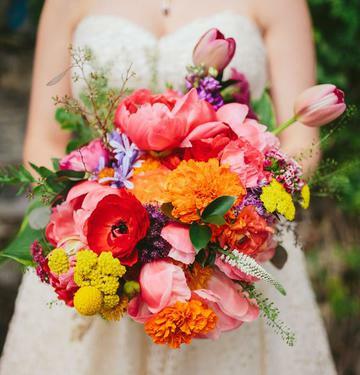 Keep your pop of color close to you with a bright bridal bouquet. 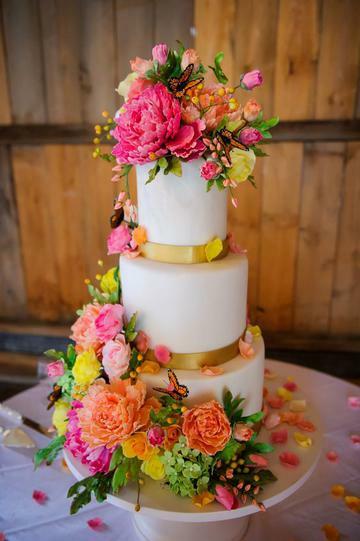 Your wedding cake is a great way to add a pop of color! 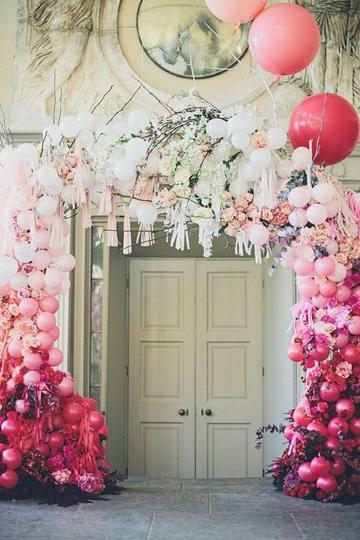 Bright colored balloons will up the visual eye candy! Don't forget the call the Canoe Club Ballroom for a Tour & Bridal Appointment! !